Switch Off, Disconnect and Relax! An easy way to decorate a functional space such as your bathroom is by accessorising it with statement mirrors. 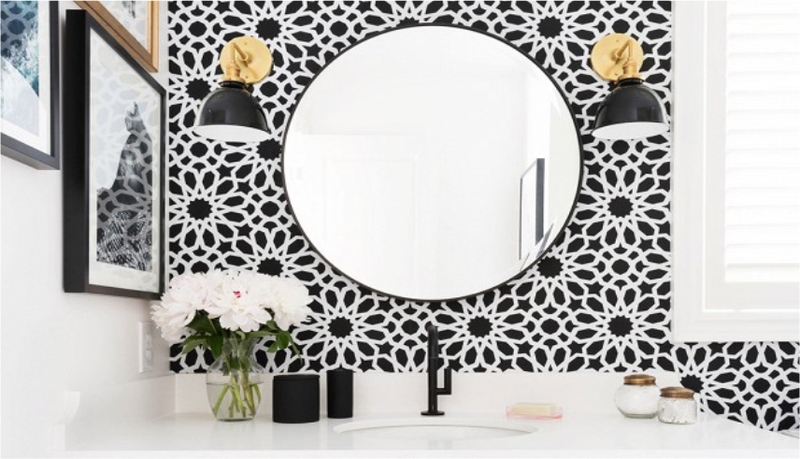 A mirror is a functional item too but when chosen right, it can add dollops of style to your bathroom. Gone are the days of boring, rectangular mirrors; today, we are spoiled for choice and there are plenty of styles to experiment with. Here, we bring you our list of top picks for both mirrors and other accessories that will glam up your bathroom. With strong Rococo influences and an ornate gilded frame, this mirror makes a bold statement. Hang it against a dark grey wall flanked by sconces on either side to complete the dramatic look. 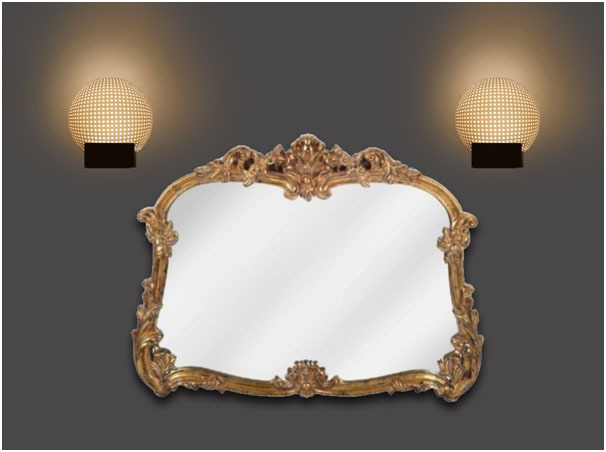 If your home is decorated in the classic style, this mirror will be an instant hit. As a standalone classic piece, this mirror would make a statement in a modern apartment too. One way to make a bold decor statement in your bathroom is by playing with colours. 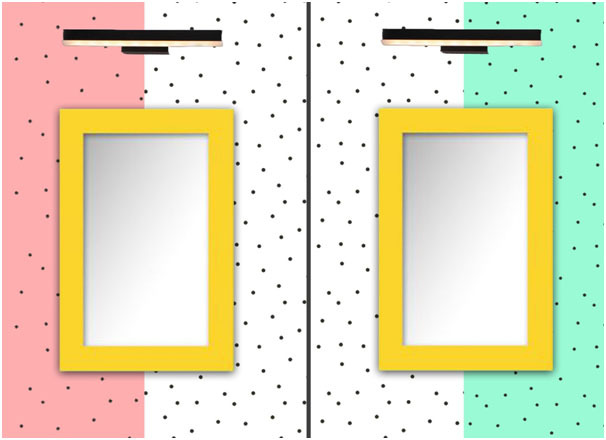 A regular shaped mirror in a bright yellow frame will be eye-catching, especially when placed against a white backdrop. It will look even better if you decide to play with the colour and patterns on the wall where it will hang. The look you will end up achieving will be quirky and eclectic. We recommend a polka-dotted wall for a playful and chic look. Hang this sleek LED light above the mirror to not only further the look, but also to provide ample lighting for when you need it. We're crushing on this ornate, Venetian-style custom-cut mirror. 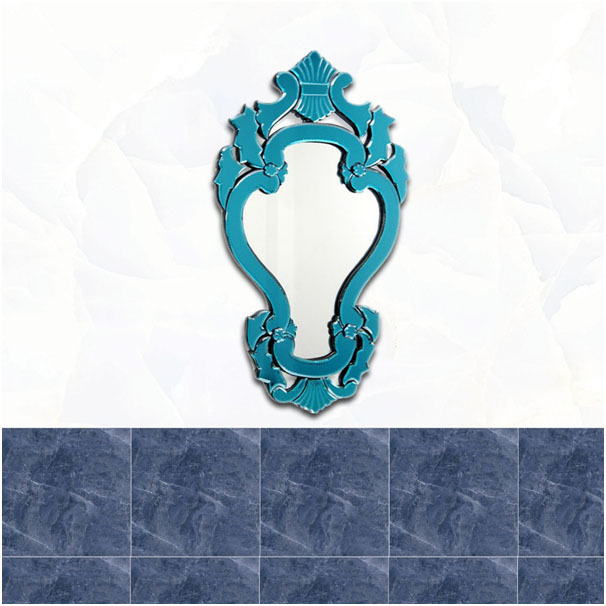 The romantic lines of the mirror and the aqua blue colour make it an outstanding piece for any bathroom. The design of this mirror includes a mix of classic and modern contemporary elements. Place it against a complementary backdrop such as these Onyx Bianca tiles, and watch it instantly glam up your space. This kind of look would work wonderfully for a powder room. How about stepping out of your comfort zone and choosing a mirror in an unusual shape and colour? 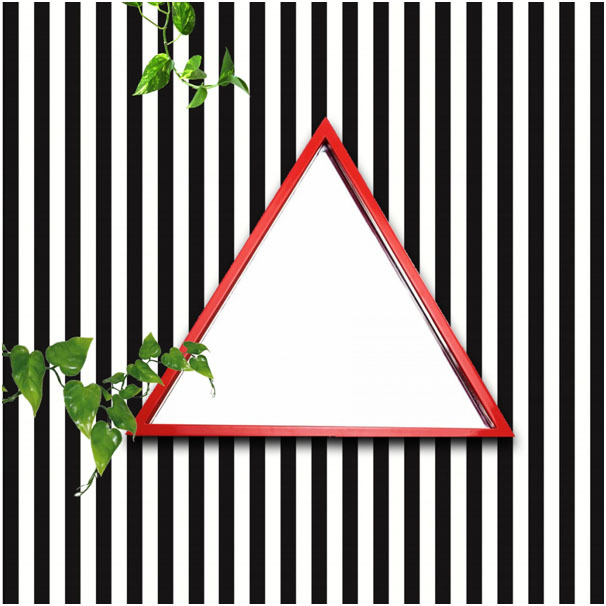 This triangular piece in a red frame creates an eclectic statement for your bathroom. We recommend you hang it against a black-and-white striped wall to enhance the exuberant geometric effect it creates. A perfect fit for a modern-contemporary home! Discern Tip: Introducing organic elements such as plants in a geometric setting helps to soften the angularity of the look. 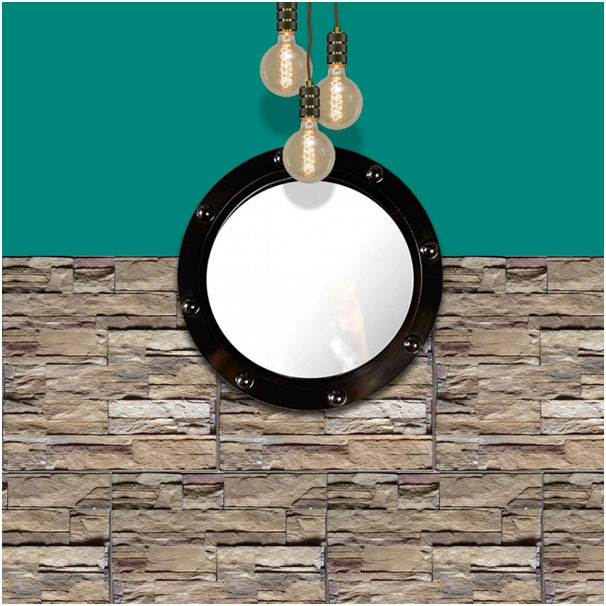 Redolent of all things nautical, the Porthole mirror will make a statement for your bathroom, with its rustic charm. We recommend you hang it on a brick wall if you have that option, otherwise pick a green shade such as this one in emerald green that complements the black frame nicely. The exposed bulb lighting is an added plus, and will undoubtedly enhance the look of the space. This mirror suits those with a love for modern-vintage decor - its rugged vibe also makes it an excellent addition to a man’s bathroom. Do you like our choice of bathroom mirrors? Do you have any recommendations of your own that you'd like to share? Tell us on Twitter and Instagram @DiscernLiving. GO ON . TAKE A PEEK! Keep me signed in. Forgot Password? Visiting us the first time? Create an account. We offer an online styling service that saves you time and hassle and makes sure you get the dream home you are looking for! Get in touch with our expert in-house design team now! Give your house a dream makeover on our app! You heard it! Free shipping on anything and everything you purchase with us at Discern Living. Told you we love you. Another way of letting you know how amazingly awesome you are. If you’re shopping with us for the first time you save 10% Flat. Sometimes things don’t work out. We get it and are here to help. Always. Just get in touch and let us know what you’d like to return. Love something you saw but falling short? We got you covered! Offering Low Cost EMI’s thanks to our banking partners, so you don’t have to stress. Discern Living is your one-stop destination for the best in inspirational interior design and home decor products. Here is a platform from which you can discover, design and shop for every design need you have or didn’t even realise you had.